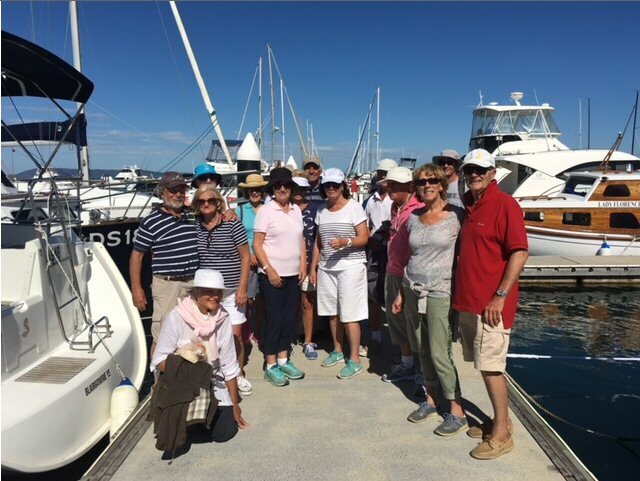 Barb and Andrew Rosza and their friends at the Blairgowrie Yacht Squadron have been supporting CIKA since 2012. In February 2016, they were joined by sixteen Sailability volunteers and their partners on ther third annual CIKA fundraising cruise to Queenscliff, sailing on two yachts, Amalie and Ameerah. They were blessed with blue skies and fair winds as they sailed across the Bay to Queenscliff Cruising Yacht Club where a BBQ lunch was enjoyed by all. The cruise raised $800 for CIKA and barbara reports that she and Andrew always get great joy out of putting this event together. Thank you both.